What Are the Causes of Lap-Band Slippage? Lap Band surgery is a short acronym for the procedure known as Laparoscopic Gastric Banding. It's one of several types of surgical procedures used in the treatment of morbid obesity and falls in the category of "bariatric surgery." The procedure is considered minimally invasive abdominal surgery using the laparoscopic technique, and involves the insertion and application of a silicone "band" around the uppermost portion of the stomach. The band is adjustable in that the amount of constriction of the stomach can be determined by the injection or aspiration of saline into the expandable ring, thus determining the size of the opening into the stomach. Surgery in itself is an insult to the human body. It is trauma; deliberate and precise, but trauma nonetheless. Because is it controlled injury to the body, there are risks as with any injury. Infection is typically the biggest risk--infection of the surgical wounds, or deep abdominal infection because of manipulation of the bowel and organs, with the added potential of damaging bowels and releasing contaminated contents into the abdominal cavity. Danger from the anesthetic is also something to be aware of. Again, although very precise and generally benign, there are risks of medication allergies, a condition known as malignant hyperthermia (a runaway, uncontrolled spike in body temperature). 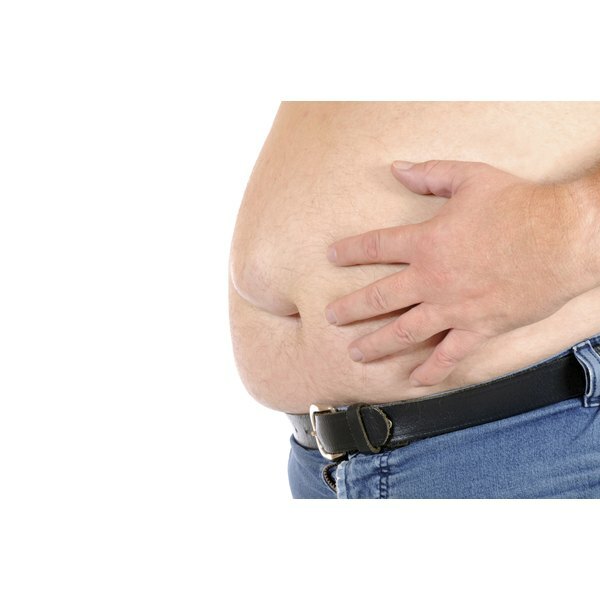 There is always a potential for injury and/or damage to be inflicted upon the stomach from the application of the band itself, or from inflation of the band. The risk lies in the fact that the band, when inflated, actually "squeezes" the stomach to create the desired diameter of the opening for food to pass. It's normal for some level of inflammation and swelling of the stomach to occur at the site of the band application. The risk is that too much swelling occurs, creating a blockage to the stomach and food being unable to pass. Because the band is foreign material attached to the stomach, the risk of erosion of the band through the stomach is always present--though not frequently encountered. Until sufficient healing has occurred after Lap Band surgery, there is a risk of the band slipping from its original and intended location. If such a thing were to occur, it would necessitate another surgery to restore the normal positioning of the band. The "port" is a small reservoir that has a diaphragm and is connected to the lap band ring itself by a length of tubing. Its main responsibility is to allow for remote filling of the band from a location away from the surgery site. The port is surgically placed in the subcutaneous tissue, where it can be accessed with a needle by the surgeon for the purpose of either instilling additional fluid (tightening the band) or removal of fluid (loosening the band), since it is adjustable according to the patient's needs. To many, the biggest danger of having a lap band procedure is the misconception that the band will do all the work of weight loss, and no effort on the part of the patient is necessary. In fact, one of the more common reasons for weight loss failure is the notion that a lifestyle change is not warranted. The band does force you to eat much less food, and in significantly smaller amounts. However, it is not a substitute for intelligence and common sense as to what to put into your mouth. People have been known to actually gain weight with a lap band, purely based on the types of foods eaten. The lap band is a tool in weight loss, not the answer.